Led by the renowned linguistic scholars Stefan Müller (Humboldt-Universität Berlin) and Martin Haspelmath (Max Planck Institute for the Science of Human History), Language Science Press publishes high quality, peer-reviewed Open Access books in the fields of linguistics. By leveraging existing institutional infrastructures and utilising highly efficient work processes, Language Science Press titles are offered at significantly lower prices compared to traditional publishers. At the same time, these titles are made freely accessible to readers worldwide, broadening the impact of the works. Language Science Press publishes fully Open Access books under CC-BY. They are a community-based worldwide organisation with supporters from MIT, Harvard, Yale, Zurich, Berlin, Sydney, Hong Kong, and others. To name but a few, Noam Chomsky, Adele Goldberg, and Steven Pinker have all lent their support to Language Science Press and the library partnership model set up by Knowledge Unlatched. The original goal of 100 supporting institutions has been reached successfully! However, Language Science Press would like to give more libraries & institutions the opportunity to support this initiative. Therefore, 15 more slots have been opened which will enable LSP to publish even more than the original amount of 90 titles and, additionally, provide more extensive support for authors or subfields, create nice maps and other services. You can find the supporting institutions on this page below. 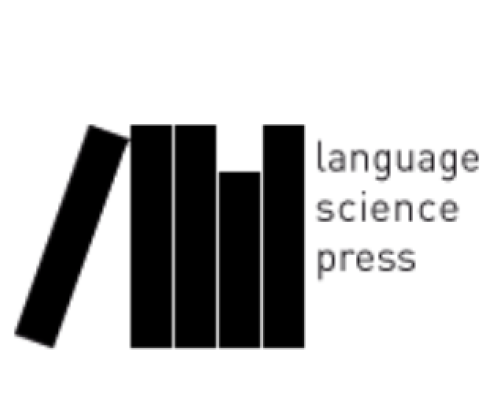 Why Support Language Science Press? Through Knowledge Unlatched, Language Science Press seeks to raise enough financial support from libraries, institutions, and individuals for a period of three years. With this support, Language Science Press can make these 30 titles per year freely available to readers all around the world. It enables them to also provide more extensive support for authors or subfields, create nice maps and other services. The amount of support per institution translates to €33.33 for an online version of a title (DRM-free). This represents about a 50% discount compared to traditional multi-user license deals. Language Science Press is a new, innovative way of publishing. You can support a way for scholars to take back control of publishing. Your researchers can submit and publish Open Access without any BPC charges. Language Science Press has a unique network of reputable scholars who are already publishing with them. With your support you will make 90 new titles in linguistics with assured quality accessible to your readers.